STAREN WATECH (M) SDN. BHD. wholly owned by a team of experienced and innovative chemists and engineers who are meticulous when it comes to quality of services provided and treatment products. It was formed principally manufactures a comprehensive line of industrial supply, process, boiler, cooling and wastewater treatment technologies, to serve the increasing demands of the industries and the community. The success of STAREN WATECH (M) SDN. BHD. is built upon its ability to quick respond and provides value-added products and services to customers, faster and more efficient than other competitors. STAREN WATECH (M) SDN. BHD. currently has more than five experienced field personnel workforce through our technical service provider network throughout the southern region of Peninsular Malaysia. STAREN WATECH (M) SDN. BHD. is well supported by our regional technical principal; located in Kluang, Johor, Malaysia, which provides manufacturing, technical support, research and development facilities. In order to strike for consistent in quality. We intend to sell only those chemicals that can be manufactured, distributed, used and disposed off in a safe manner. We will conduct our operation worldwide in compliance with all applicable laws and regulations. We will make environmental health and safety considerations a priority in order to keep risks at the lowest reasonable level. STAREN WATECH (M) SDN. BHD. philosophy of operation is to find customer needs and fill them through the application of specialty chemicals and technology. We enhance the profitability of our customers’ business by providing products and services that add value to their operations and provide them an acceptable return on investment. Quality Products - providing state of art, high quality treatment chemicals from world class chemical manufacturer. 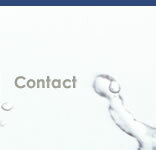 Quality Services - providing quality technical services through qualified and experience technical personnel. Quality Support - providing cost effective and good result treatment program. 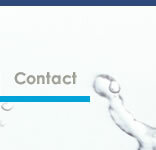 Quality Professionals - providing solutions to all water related problems. Experience field service personnel, broad knowledge and innovative technology formed the backbone of our service capabilities. Designs of vessel e.g. sand filter, softener, demineralization and etc. Our principals support the above activities, which include local indigenous and overseas conglomerate; this always in compliance with government policy to uplift the local ambitious company into fully developed industry players.